I admit it. When I first heard about snail extract and the wonders it can do for skin, I was a bit grossed out. Snails aren’t necessarily creatures that most bring to mind “beauty” or anything close to it really, so it was a surprise to be told that snails could be the secret to dealing with everything from my acne scars to my uneven texture. So, how would I describe exactly what I was looking for? 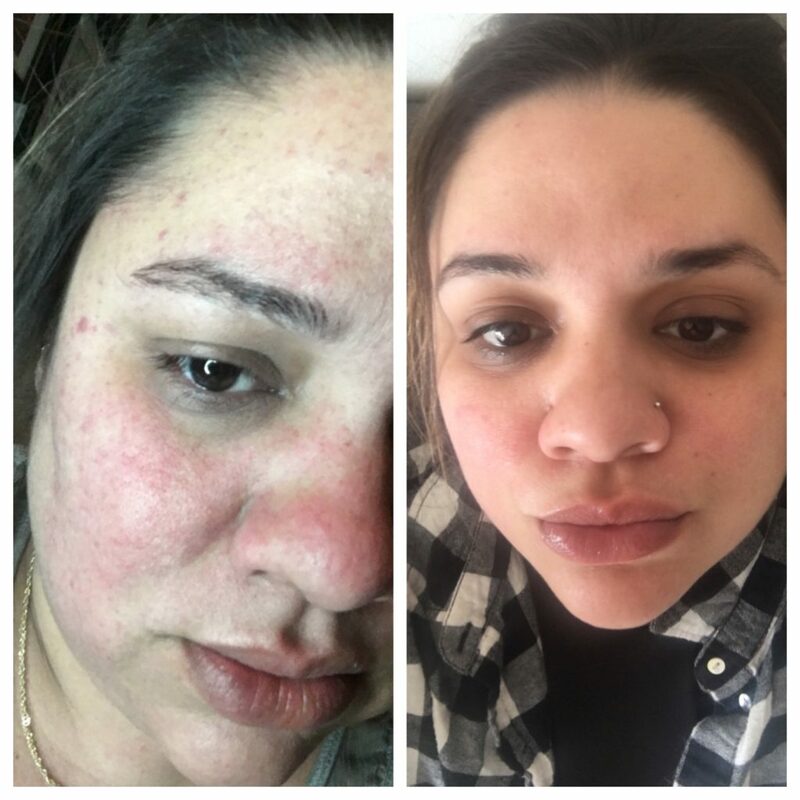 I’m someone who describes herself as having combination skin, and I have pesky scarring thanks to experiencing hormonal and stress-related acne from my early teenage to post-college years. As a beauty editor for the past decade-and-a-half, I’ve been lucky enough to get the chance to try many different skincare products. According to my derm, while this has been fun and super rewarding, it may not be best for my finicky skin to be swapping formulas with such regularity. Keeping that in mind, I tend to favor a “less is more” approach to my skin, cleansing with an organic oil formula and using a vitamin C serum and not much else. This streamlined routine might be time-saving, but it’s done little to address my long-term issues with scarring, uneven texture, redness, and sensitivity, as well as occasional breakouts. Ever since I’ve known about Peach & Lily, I’ve heard about Mizon’s transformative products featuring snail extract. My interest was piqued when I noticed that so many people who experienced dramatic results had similar skin to my own. I read reviews and watched Youtube videos, where smiling fresh-faced people praised these slimy formulas, attributing the snail extract for helping their difficult combination skin look like new. I decided I wanted to try it out for myself. That last review was especially important for me, as I have sensitive skin as well, but really never knew it. I always thought that, as an oily, breakout-prone skin type, I couldn’t also consider myself sensitive. My derm, though, had also explained to me that my skin is actually extremely sensitive, and so trying to attack it with potent acids or other oil-crushing ingredients wasn’t the way to go. I may have unique needs in terms of dealing with acne and excess sebum, but I need to treat my skin with more gentle formulas, I was told. And so hearing that the Snail Ampoule worked wonders even on red, sensitized skin made me feel much more comfortable giving it a go. I began my new 3-week routine by applying this serum every night before bed. I would also apply it in the morning before my SPF and makeup. I immediately noticed the product’s very unique, almost slippery texture, and the fact that my face would basically drink the serum up. I would use about a dropper’s worth of product, swirling it onto my face and neck and lightly tapping in any excess formula with gentle flutter motions using my fingertips (a trick I learned from one of those many Youtube videos). After about one week I noticed my pores looking smaller, and my red, sensitized complexion (that comes and goes depending on stress, weather, product usage) was calming down, replaced by something much more smooth, soft, and, most importantly, consistent. I’m someone who is very used to waking up with okay skin one day, only to wake up to totally red and irritated skin with new pimples the next. By week two, I noticed that my skin seemed to be actually getting healthier from the inside-out, as it felt firmer to the touch and looked more glowy. My frustrating dark spots had even begun getting ever so lighter day by day. I also noticed that the rough texture I’d been dealing with was morphing into something much more fresh and refined. By now, I no longer felt as though I needed to apply a full layer foundation all over my face and, instead, switched to a lightweight concealer, using it only in a few spots where my scars were the deepest. My mind was blown. I don’t think I’ve gone to work fully foundation-free in about a decade. On my third week, I decided that the results were so impressive I wanted to add more products with snail extract to my routine. I went for Mizon’s Snail Repair Eye Cream and the All In One Snail Repair Cream, including both in my night routine. 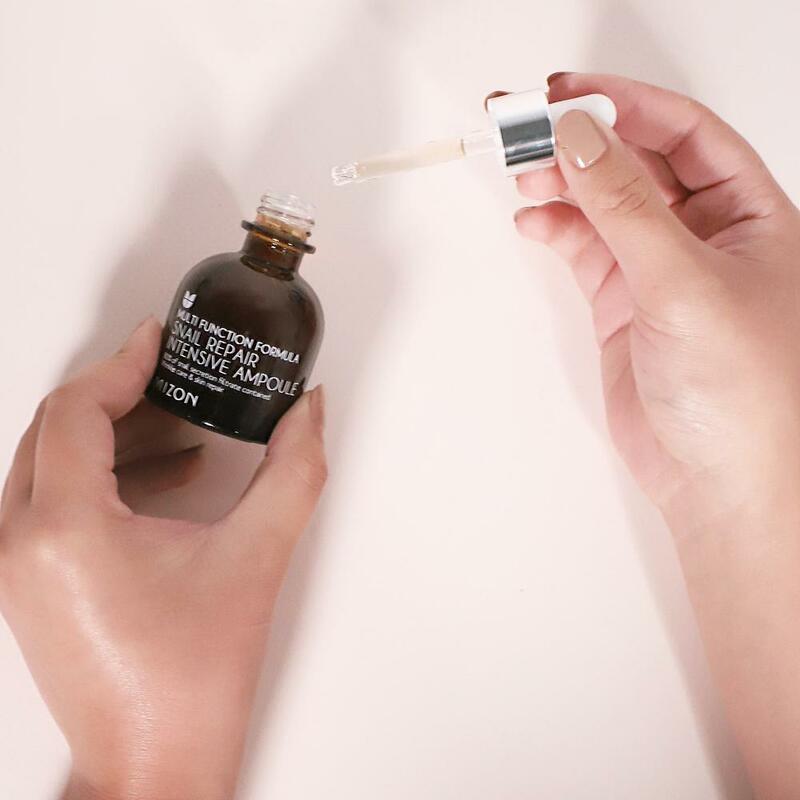 While they weren’t as dramatically transformative as the Ampoule, I found that these creamy snail extract formulas provided my skin that extra bit of nourishment and hydration I needed to take my skin makeover to the next level. At this point, my skin was more clear and more supple than it has been in recent memory. While showing your skin at its worst is never easy, above you’ll find a photo of me before I started my snail regimen. What you’re seeing on the left is actually my skin on a regular day, even after the many creams, serums, and potions I’d tried for years and years to deal with my texture and scarring. On the right, you’ll see my makeup-free face after nearly a month of using snail mucin both in the morning and evening. In a nutshell — well, snail-shell — I’m hooked! P.S. It was important to me that no snails were ever harmed in the harvesting of mucin, so, before I started including snail products in my routine, I did a lot research into how this skin-changing ingredient is sourced. Basically, snails produce their magical secretion when they are happy, and, to make them happy, snail farmers give them a spa day, warming them up, collecting their mucin, then returning them back to their protected plant-based homes where they live peaceful, relaxing lives. This gave me peace of mind, and I now consider myself a snail extract-user for life!